As with candles, there is often a discussion in our house about dish soap- most of the time it's because I've forgotten to go to the store and we're nearly out, but sometimes it's about the scent. I'm not a big fan of citrus-scented dish soaps, and my husband is not a big fan of floral-scented ones (I suppose I agree when it comes to having a collision of scents- floral plus day before last's last night's pasta? No thanks). 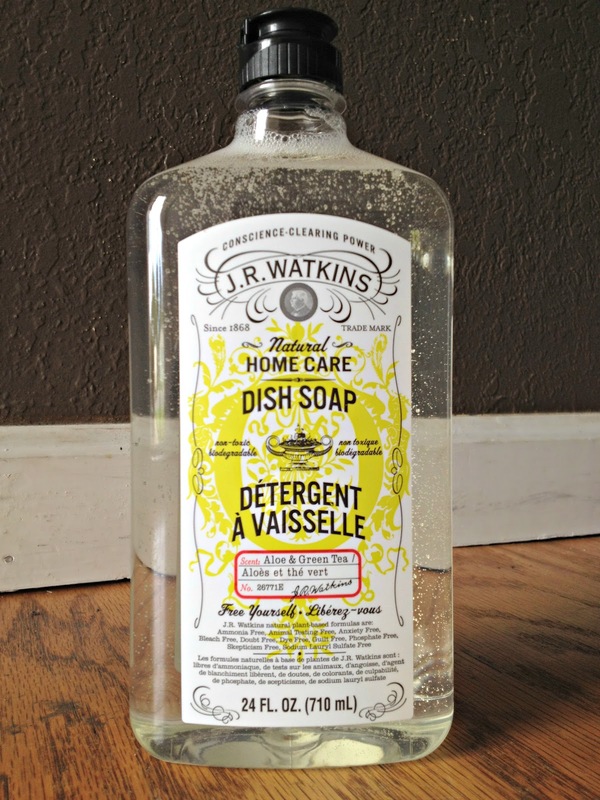 I've been trying various products from J.R. Watkins (which I had no idea existed until recently but apparently has been in business since 1868!) for the past few months and I'm really liking the happy medium I've found with the Aloe + Green Tea scented dish soap- I even ordered in bulk from Amazon and have thus solved two problems at once (saving a little extra money by ordering in bulk and using Subscribe and Save doesn't hurt either)! I've enjoyed everything I've tried from J.R. Watkins and have switched all of our hand soaps and now dish soaps to this eco-friendly brand. Definitely check out their website! I didn't realize they had a line of products for babies and I plan on trying those next. I'm linking this review up with The Naptime Review's Favorite Product Fridays. 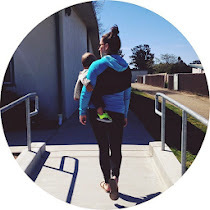 The Naptime Review also just posted a feature on my blog which was so sweet- thanks Julie! I had no clue this stuff existed either! Too cool. Ahh good, I am almost out of dish soap and need another fun one to try! Cute blog, new follower! Look at you! Thanks for the shout out! Glad you like your feature! @ Claudia- We don't use Johnson & Johnson (it's a little scary what ingredients go into their products! ); I made great use of that database while I was still pregnant and have found some great brands that way! New GFC follower via Mom's Mingle. Check out my blog and follow me back if you like. Thanks! I've always seen this brand but never tried. Will have to now! New follower from the naptime review. Hi there! I already follow you, but was stopping by from the Monday Mingle. I LOVE the J.R. Watkins lemon creme lotion. It smells divine! Didn't know that they made dish soap. Thanks for sharing. I also appreciate more subtle scents. My fav brand is actually Method but this JR Watkins looks cool too. Great packaging! Like a saloon.